The Collections comprise family and estate papers, artefacts, and research papers. 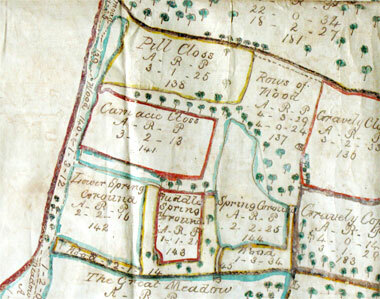 Detail from Map of the Manor of Chilworth in the County of Southampton, 1755. Willis Fleming family papers include personal and domestic letters, diaries, records connected with official duties, inventories, photographs, and ephemera. The muniments of the 'Fleming Estate' in Hampshire & the Isle of Wight include records of the manor courts, deeds of purchase and sale, wills and marriage settlements, mortgages, surveys, terriers, rent rolls, accounts, correspondence, and maps & plans. The 'Fleming Estate' section of this website contains a great deal of information, and sets out to explore the ways in which people, places, and documents link together across the four centuries of the Estate's history. It seeks to be a useful resource for family history and local history. It includes indexes to Fleming Estate rentals for the years 1858, 1872, 1911 (mainland cottages only), 1920, and 1938. 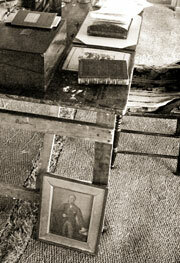 The Collections include books, artworks, and other material remains of the past. 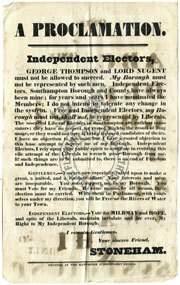 The Stoneham Archive is a special collection that relates to North Stoneham House and North Stoneham Park. The research study collection includes material gathered by the Trust, and received from other researchers and historians. This includes a large archive of genealogical data presented to the Trust by Robert Barrett, concerning the Willis/Fleming and allied families, and other families and individuals associated with the estates. The Trust maintains registers of related papers and objects in other archive collections, and in private hands. The Catalogue of Dispersed Objects is a register of artefacts that have been lost or destroyed, or are otherwise now scarce or never seen. The Browne Willis's Library project is producing a comprehensive guide to the dispersed contents and output of the Library of the antiquary Browne Willis (1682-1760). Please contact us with specific enquiries. Copyright © 2005-2012 The Trustees of the Willis Fleming Historical Trust. All rights reserved. Sitemap.